Over two dozen photo albums have been uploaded to the gallery section of this site, focusing on my travels over the past three years. 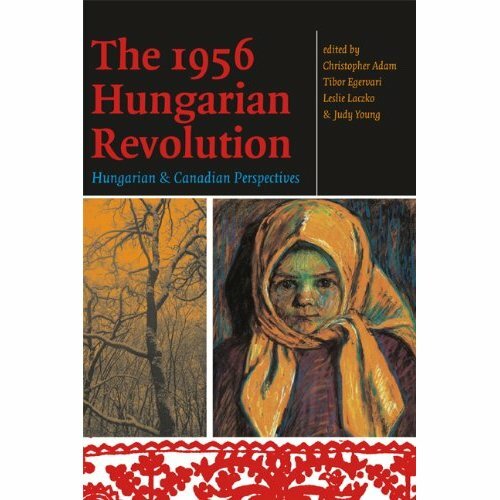 A book I edited, entitled The 1956 Hungarian Revolution: Hungarian and Canadian Perspectives and published by the University of Ottawa press is available for order through the Amazon website. In October 1956, a spontaneous uprising took Hungarian Communist authorities by surprise, prompting Soviet authorities to invade the country. After a few days of violent fighting, the revolt was crushed. In the wake of the event, some 200,000 refugees left Hungary, 35,000 of whom made their way to Canada. This would be the first time Canada would accept so many refugees of a single origin, setting a precedent for later refugee initiatives. More than fifty years later, this collection focuses on the impact of the revolution in Hungary, in Canada, and around the world.